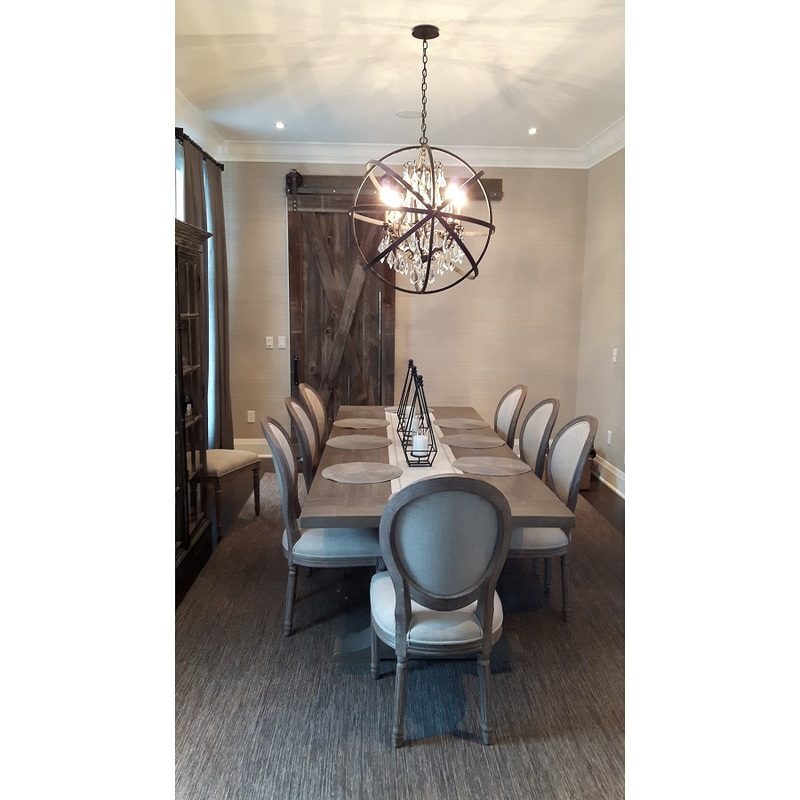 Here, one of our barn doors makes a sharp contrast to this elegant dining room. And…it works! Built and installed by REBARN! For more information about our barn doors, call Rebarn at 647-968-4004.